A wise husband will allow his wife to manage the household because this is her ministry. I am not saying that she should be the head of the house, I am talking about being a MANAGER of the household. This is her calling in life and she is GREAT at it! The Greek word for “homemaker” is OIKOUROS. These words make reference to being a guard, guardian, a watcher, and a warden. A wife’s business should be to guard and guide her house. 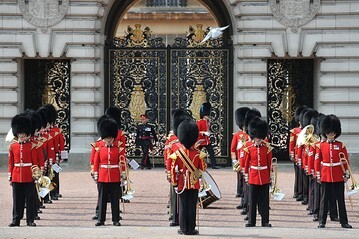 CASE AND POINT: One of the big attractions in England is for people to go to London and watch the guards at the queen’s palace. You and I both know that we would expect guards there. But my husband was invited to go to Mexico City and speak to many senators and governors over there concerning teen violence rehabilitation. We went to eat at a restaurant that seemed like our equivalent of a “Dennys.” While we were having lunch, I asked one of the senators why they had guards at the doors with machine guns. He told me that the guards were not there to protect the restaurant. Those were personal guards of people who were inside eating. I was totally shocked. After I remembered reading statistics that Mexico City had a high rate of “abductions” for ransom or killing. When I read this verse I always think of this experience. You and I might think that being called to be the “guardian” of your home is not a big deal. To God, it is a high position. Everything God DOES is for a reason and a purpose. Those people in Mexico City who hired those guards expected them to keep them and their family safe! God expects the wife to be his “watch dog” over the family! What kind of a “watch dog” are you? Lol! God told Adam to be the guard over the Garden of Eden. God told the CHERUBIMS with a flaming sword to be a guard over the tree of life. Don’t take your ministry lightly. He has equipped you and expects you to keep that home HOLY. Start with prayer and end with prayer! Your spouse and family are WORTH it.